Enter Name * Enter your child's name for printing customisation. Enter Age * Enter your child's age for printing customisation. When * Enter the date and time of the event. Where * Enter the event's address. RSVP * Enter RSVP information. Footer Information * Enter additional/footer text to be printed at bottom. Buffet Labels * Enter each buffet label required, followed by a comma (maximum of 10 only). Get ready to pick your flowers in a splash of watercolour! 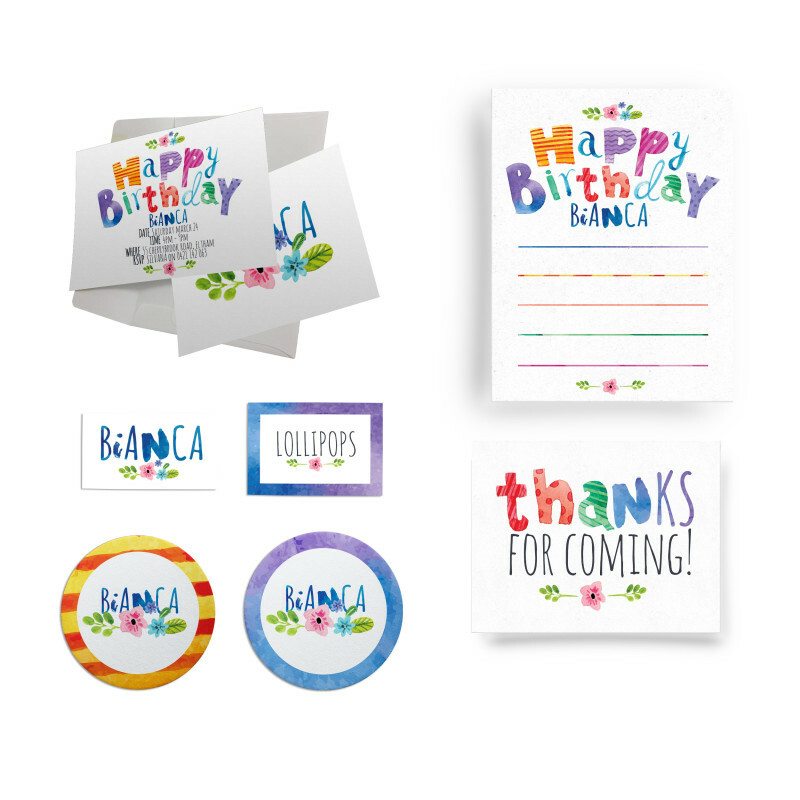 Create the perfect flowers/watercolour-based birthday party for your special little one with ImagiWorks and our personalised ‘Flowers Watercolour Kids Birthday Party Collection’ set. Enter your desired information in the form to the right and wait while the ImagiWorkers add a touch of magic to your child’s birthday preparations. *File will be provided on completion of customisation requests. *Designed and developed by ImagiWorks in Melbourne, Australia. *Further customisation options available including font and colour changes – for more information, please email store@imagiworks.com.au.